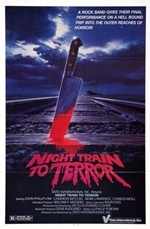 Night Train to Terror is a 1985 American independent horror film directed by John Carr, Phillip Marshak, Tom McGowan, Jay Schlossberg-Cohen, Gregg C. Tallas, and written by Academy Award winner Phillip Yordan. 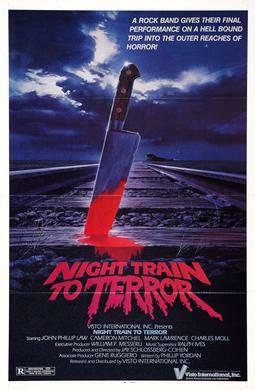 Since its release the film has become an infamous cult classic of grade-Z movie fare. The film is often compared to the likes of Plan 9 From Outer Space due to its bad dialogue, poor editing, and numerous continuity errors.